Setting goals can be inspiring! "For what purpose humanity is there should not even concern us: why you are here, that you should ask yourself: and if you have no ready answer, then set for yourself goals, high and noble goals, and perish in pursuit of them!" "I know you're supposed to set goals for yourself. I see all that motivational stuff on television. "Think about the future, what's next!" But I'm all into the journey. It's fascinating to me. So if I make certain what I want moment to moment, I'm cool at the crossroads." "The most important thing you can do to achieve your goals is to make sure that as soon as you set them, you immediately begin to create momentum. The most important rules that I ever adopted to help me in achieving my goals were those I learned from a very successful man who taught me to first write down the goal, and then to never leave the site of setting a goal without first taking some form of positive action toward its attainment." "If you don't accept failure as a possibility, you don't set high goals, you don't branch out, you don't try -- you don't take the risk." "You may not accomplish every goal you set / no one does / but what really matters is having goals and going after them wholeheartedly." "For imagination sets the goal ''picture'' which our automatic mechanism works on. We act, or fail to act, not because of ''will,'' as is so commonly believed, but because of imagination." Wow, and I mean wow! 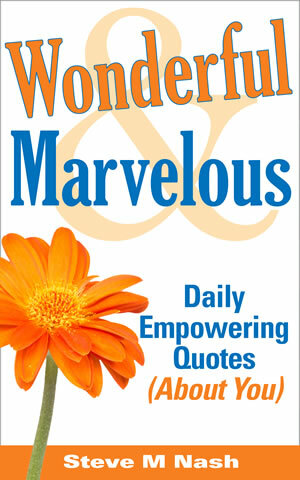 Don't you think that these goal quotes - these goal setting quotes - are truly inspirational. 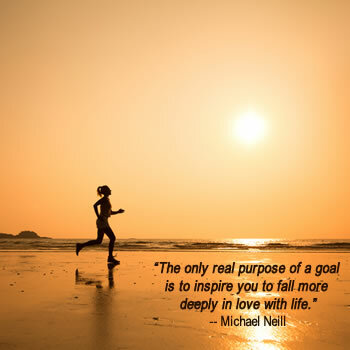 Each quotation on goal setting reinforces the importance of setting goals, it really does. Whether they're famous goal quotes on success, life, love or just plain achievement, I know that I am moved into action just by reading these motivational quotes. How about you? What do you think to these quotes? Or perhaps you'd like to read some more famous goal quotes before you get in touch! "A person should set his goals as early as he can and devote all his energy and talent to getting there. With enough effort, he may achieve it. Or he may find something that is even more rewarding. But in the end, no matter what the outcome, he will know he has been alive." "I say you ought to write out 10 outrageous goals that are bigger than you because your life isn't meaningful or important unless you're on purpose about something way bigger than you are." "The major reason for setting a goal is for what it makes of you to accomplish it. What it makes of you will always be the far greater value than what you get." "You cannot afford to wait for perfect conditions. Goal setting is often a matter of balancing timing against available resources. Opportunities are easily lost while waiting for perfect conditions." "There's nothing wrong with having your goals really high and trying to achieve them. That's the fun part. You may come up short. I've come up short on a lot on my goals, but it's always fun to try and achieve them." "If you want to know what an ultimate goal would be, of course it would be utter peace." "Establishing goals is all right if you don't let them deprive you of interesting detours." Goal Quotes - What Next? Share this goal quotes page - thanks!